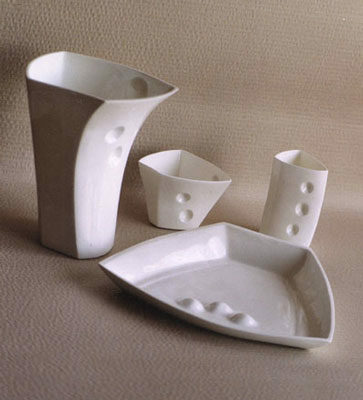 Casted Bone China (porcelain). Vase 21 cm. high, small vase 11cm., bowl 8 cm. 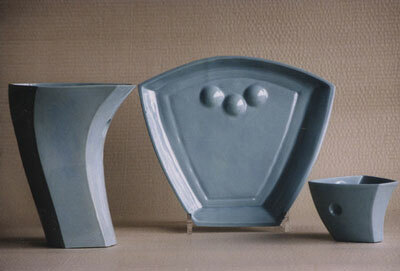 high and plate 26 cm.